So, you’re interested in generating more cases for your law practice. But, there is a disconnect between your desire to drive more cases and ad agencies that promise clicks but not much more. If you can get the results that you’re looking for, meaning a reasonable, consistent Cost-Per-Case, you would happily scale out your online advertising efforts and drove more cases and thus clicks. But, getting there in a reasonable amount of time is cause for concern. Having managed roughly $3M in ad spend for law firms, here are 5 keys to look for when hiring an ad agency to drive cases for you for Pay-Per-Click advertising. At the end of the day, Cost-Per-Case is what matters most. Whether you are paying $1 for display ad clicks or $40 for targeted, competitive keywords such “car accident lawyer”, it matters very little. What does matter is that you end up paying less per case than you would for accepting a referred case from a law firm, which is usually about 33%. We find that in reality, you want your Cost-Per-Case to end up being somewhere between $200-$1,000 depending on the type of case you are generating and the fees associated with that case. For instance, if you are a personal injury firm, and you accept soft tissue cases that have a minimum fee for your services of $5,000, then you really want your Cost-Per-Case to be somewhere less than $1,000. At a Cost-Per-Case of $700, for instance, this represents 14% of the minimum value of a case, so it is most likely an affordable amount for your firm to drive as many cases as it can handle at that price. Each practice area has its own challenges when it comes to driving cases online via Pay-per-Click. For instance, it is relatively easy to drive criminal cases, but it is more difficult to drive calls and cases of individuals who have qualified cases and the cash to hire your firm. 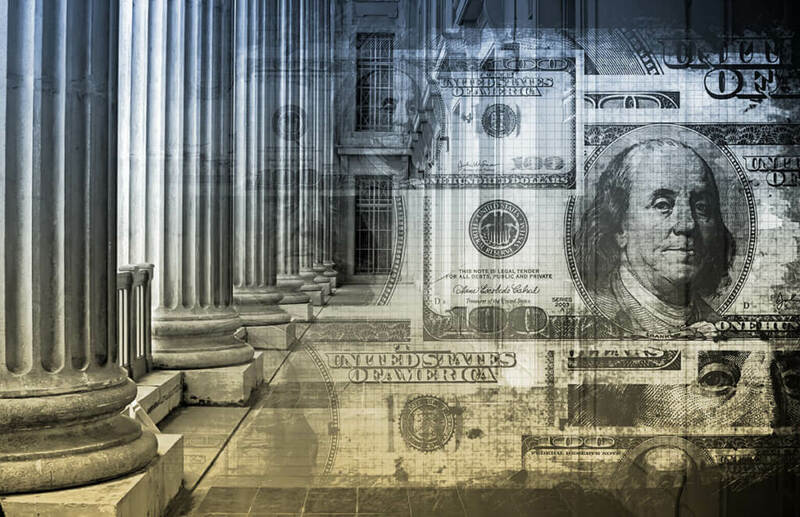 Likewise, if your firm handles Social Security Disability cases, it is important for the agency that you are working with to understand that oftentimes it takes a year or more to get paid. This being said, the agency needs to understand that your firm will likely need to scale out slowly, as it takes time for you to get paid on the cases being driven. It may even require short time periods of turning ads off in order to have the funding needed to gradually build out the campaigns over time. Most importantly, the agency that you are working with needs to have spent quite a bit of money previously not only in the legal field, but in the specific practice area in which you are looking to generate more cases. Asking the simple question, “How much money has your agency managed in the personal injury space (or whatever practice area you are in)?” will help you determine if they are qualified to assit you firm. Never drive PPC clicks to your SEO optimized website. Doing so will cause you to overpay for cases. Ideally, you are looking for an ad agency that can convert clicks into calls at a rate between 20% – 35%. This means that roughly 1 of 5 to 1 out of 3 of the clicks need to turn into a phone call. Mobile responsive landing pages as well as desktop landing pages with little clutter are key to accomplishing this. Additionally, you should seek to have about 1 out of 4 to 1 out of 7 calls turn into an actual signed up case. This will ensure that your Cost-Per-Case is reasonable and allow you to bid on keywords that are more expensive because the rest of your process is honed in properly. Protecting your paid ad campaign with negative keywords probably sounds like an oxymoron, but the opposite is true. Negative keywords are phrases that you don’t want to associate with your ad campaign. Specifically, when your ad manager plugs negative keyword phrases into your campaign, then your ad won’t show up when the negative phrases are queried in the search engine query field. For example, if your firm wants to generate leads for retainer clients, then you don’t want your ad to appear in searches for freeor pro-bono legal services. And if your legal specialty is personal injury or medical malpractice, then you don’t want your ad showing up for searches including contract law, or SSDI claims. Furthermore, negative keyword settings protect your law firm’s brand reputation. If there’s been a negative incident covered by media outlets, then you probably don’t want your firms’s name associated with it. This would include legal defense involvingcorruption, dangerous public figures, political scandals, white-collar crimes, and the like. One of the greatest mistakes that paid ad marketers make is bidding on irrelevant or ineffective keywords. They do so because they believe that they’ll beat competitors by claiming bids on as many keywords imaginable. But all this strategy does is waste money on keywords that aren’t generating traffic, or worse, the ineffective keywords are generating the wrong type of traffic. Professional, ethical paid ad managers brainstorm keywords that are not only relevant, but also, they’ll prove to be effective converters of traffic. This helps you to direct your marketing funds on the keyword ads that are genuinely garnering leads while preventing you from spending money on words that eat away at your budget. As mentioned, the length restrictions of your paid ad won’t allow for your firm to highlight its ability to assist clients, or answer their questions. This is why your website’s text content (in the form of blog posts or articles) is a wonderful form of media to accomplish these goals. However, your paid ads can be produced to complement your text content by providing the right keywords and taglines that willentice the reader’s curiosity. In other words, your firm’s site visitors should read the ad, and they should feel that they’d love to learn more information after clicking the link. When the link directs them to your long-form content, then the site visitor should feel inspired to set an appointment to meet with your attorneys. 1 Comment on "5 Keys to Pay Per Click For Law Firms"